If you were looking forward to taking the further adventures of Starkiller on the move with your PSP, tough noogies. LucasArts has confirmed to IGN that development has ceased on the PSP version of Star Wars: Force Unleashed II. No further comment was given. This follows news that series writer and producer Haden Blackman left the developer last week. It's unknown if his resignation was in any way related to the project's cancellation, but the two events seem so close that one can't help but wonder a little bit. I'm not a Star Wars fan, so this news doesn't really affect me all that much even though I do often like games inspired by the films. I am looking forward to the console releases of Force Unleashed II, as I felt the first game had a lot of undelivered potential that the sequel looks to capitalize on. 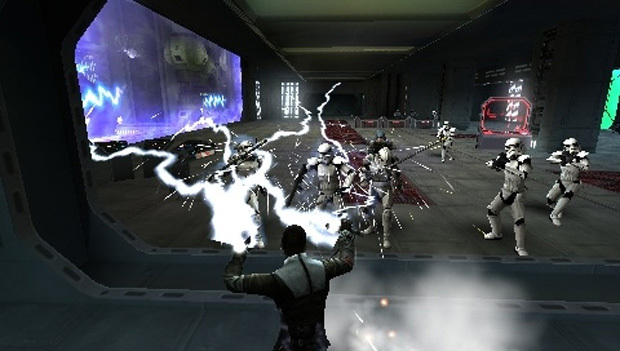 If you're still looking to hit the road with Force Unleashed II, the Nintendo DS and iPhone versions remain in development.